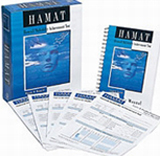 Use this instrument to obtain assessment results relevant to planning effective intervention for individuals functioning at the lowest levels of mental development. Developmental Assessment of Young Children (DAYC) - 2nd ed. COMPLETE KIT- New! Birth through 5-11. An outstanding early intervention assessment. b>Ages: Adolescents and Adults. 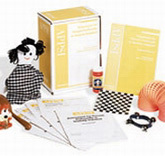 This test can be used to assess cognitive functioning in a variety of areas. It is especially valuable in the assessment of individuals with traumatic brain injury. Deborah Ross-Swain The primary edition of the RIPA assesses immediate memory, recent memory, spatial orientation, recall of general information, temporal orientation, organization, problem-solving, and abstract reasoning. Here is a norm-referenced test of gross motor development for children between 3-0 and 10-11 years of age.